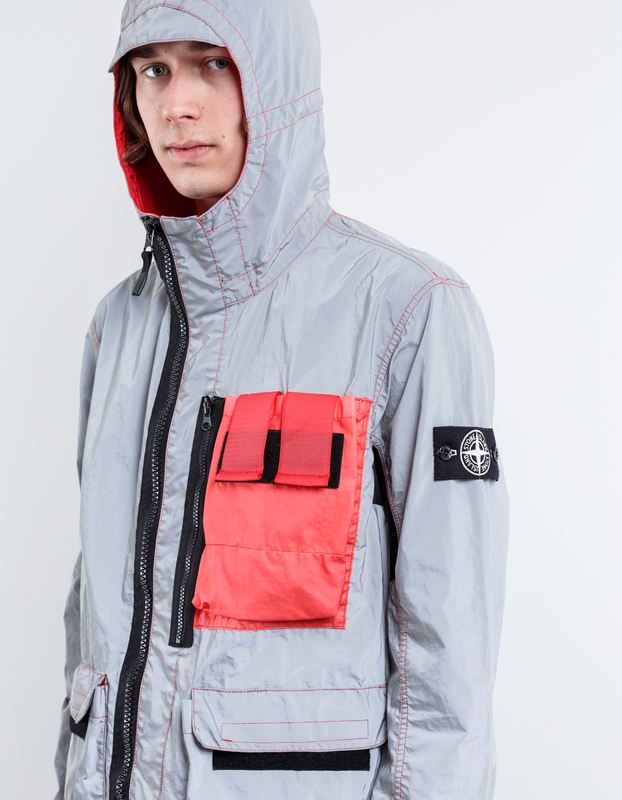 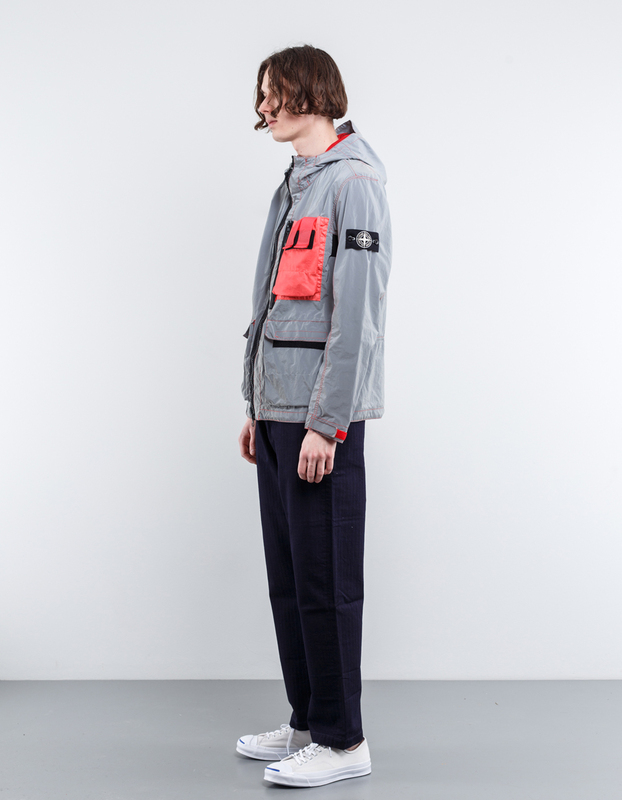 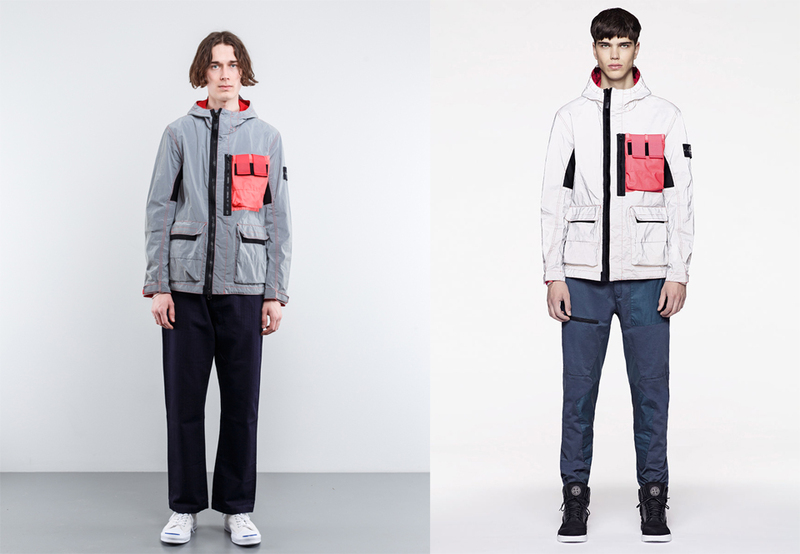 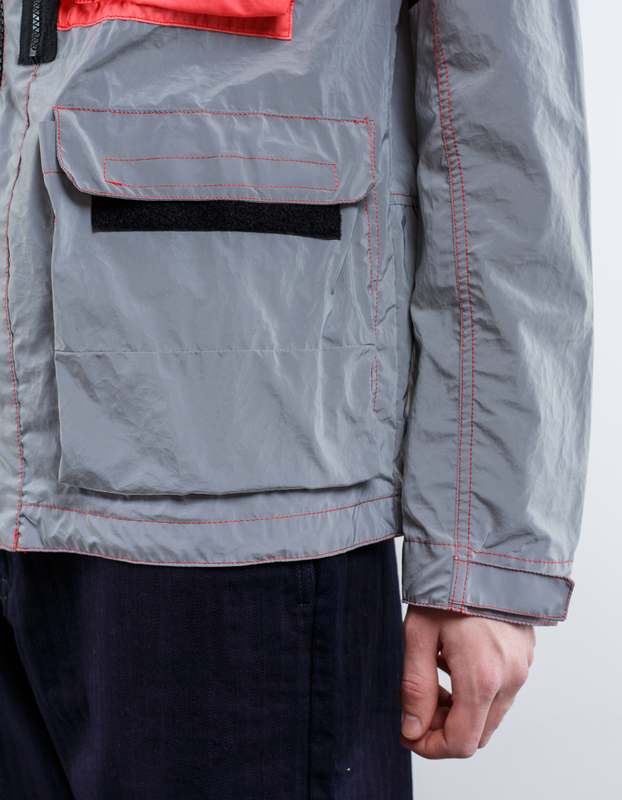 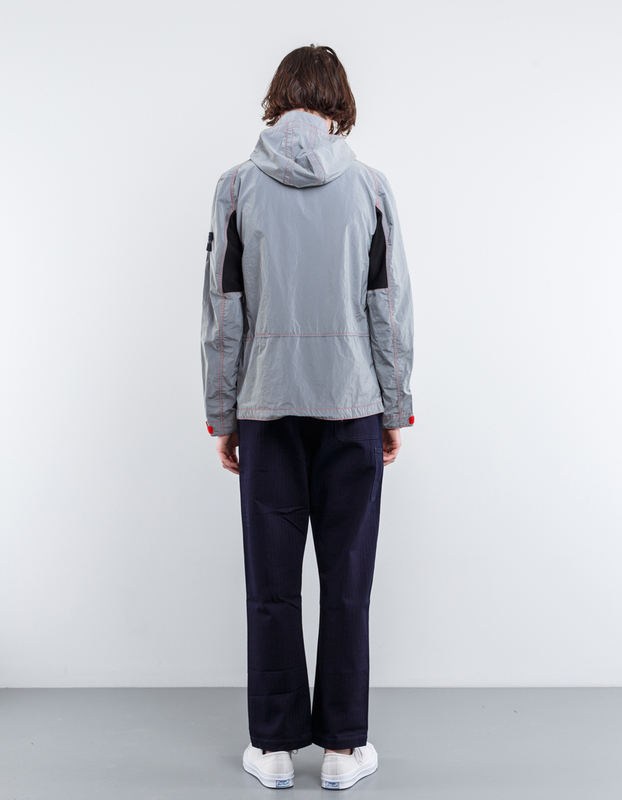 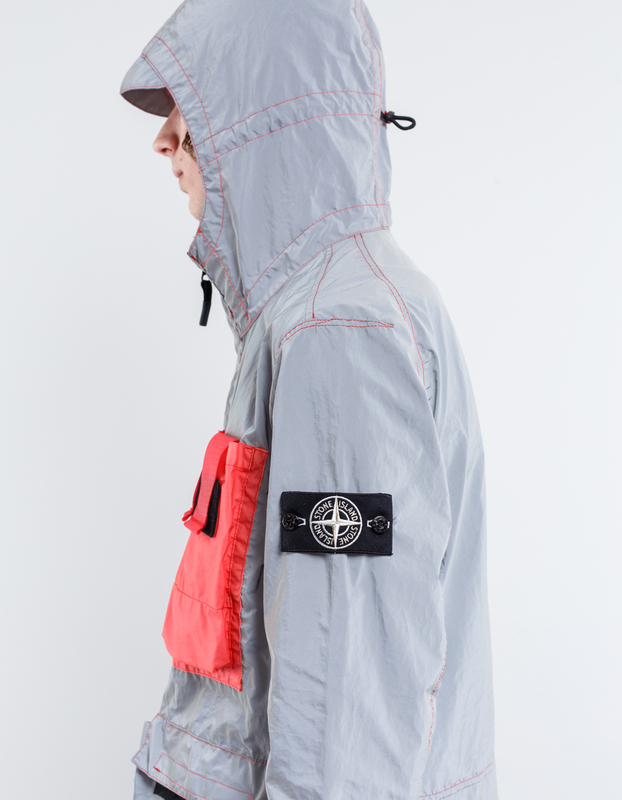 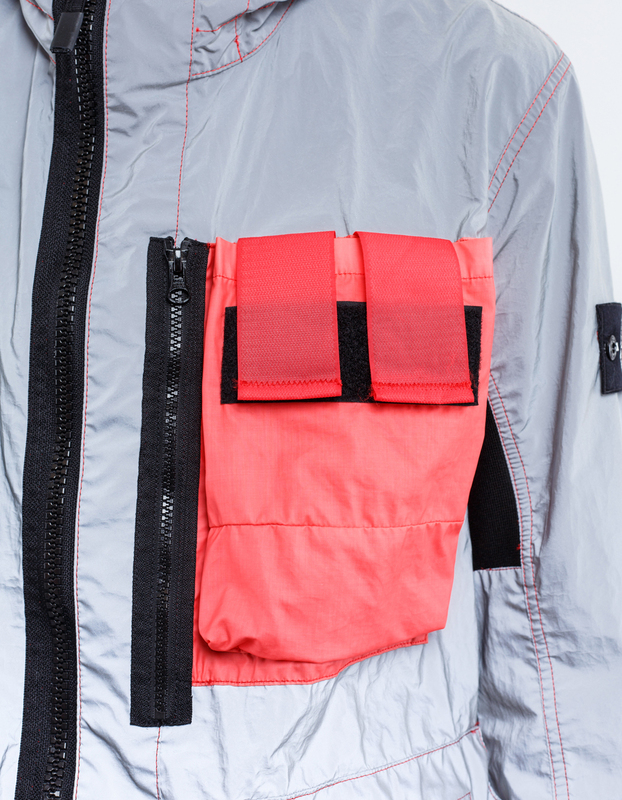 Part of Stone Island’s Spring/Summer 2017 collection, this jacket has a double-dyed and reflective shell. 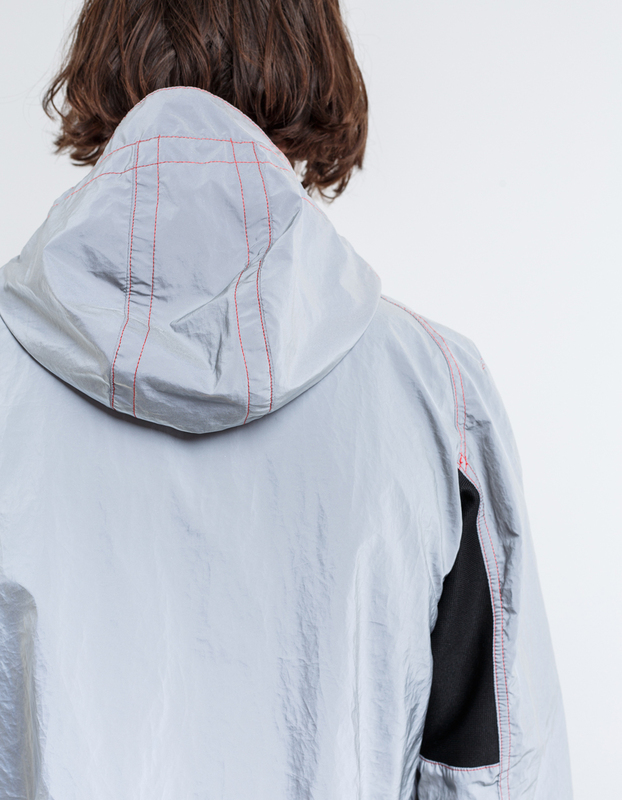 It’s also been plated with a layer of microscopic glass beads to make it wind- and water-resistant. 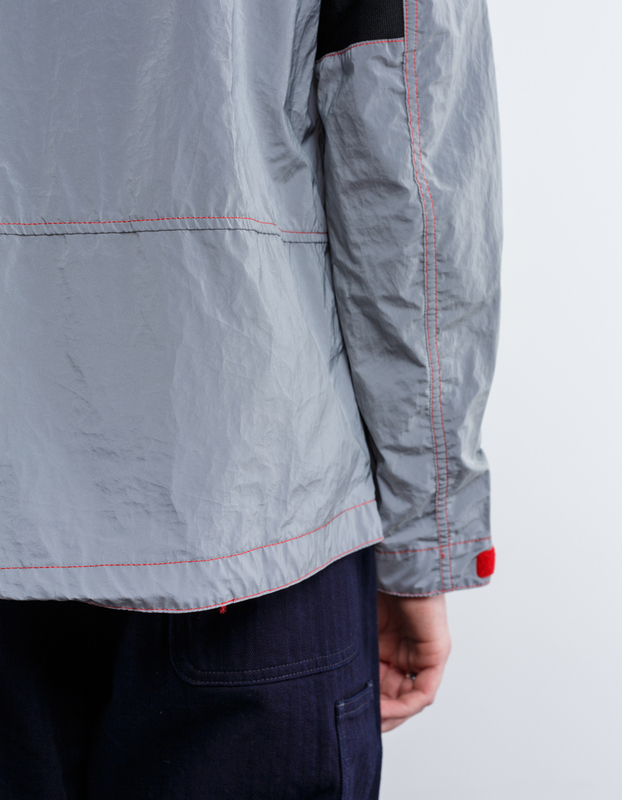 It also has a double-layer chest pocket.